As I sat at my laptop I could feel my own anxiety levels rising.Email after email pinged in continuously and each one, though different, was asking the same thing. Could you just…? Can you just…? Don’t forget to do this…! They weren’t from a boss or a demanding relative. They were from my son’s school. When the final one of the day arrived I was ready to scream. This one was a reminder of an evening being held ‘How to manage your child’s anxiety?’ Manage my child’s anxiety? Maybe if the parents were less anxious worrying about everything there was to remember for their child’s school this would be a start. I slammed my laptop cover down making both my boys jump. The following day I did some unscientific research at the school gates. Was it just me I wondered? Was I being oversensitive/fraught? Did I need to just get a grip? In many ways, I was relieved to see the feeling was being felt by all of my fellow school mum chums. But it did make me think, should we really have to manage children’s anxiety at just seven? Wouldn’t it help them if we as parents and the school simply calmed down and stopped putting so much pressure on them and us? But are there signs that as a society we are putting too much pressure on our children - parents and school included? “This is a tricky question as although the perception is often anxiety in children is becoming more common, we don’t have the data in the UK to properly test this. This year, a national survey of mental health in children and young people has been repeated for the first time since 2004, so soon we will be in a better position to see if anxiety in children is on the increase and if so why. So how do you spot signs of anxiety? Everyone experiences fear, worry or anxiety sometimes, but according to Professor Creswell, this is not necessarily anything to worry about. It can in some circumstances be helpful. But it becomes a problem when it is out of proportion to what is going on and interferes with everyday life. Children with separation anxiety are typically concerned that something will happen to themselves or one or more of their parents/carers if they are not together. This can show itself through clinginess and difficulty separating to go to school or to a friend’s house. The child may become tearful or have a tantrum. Children with social anxiety are normally worried about being evaluated in a negative way by others. They may worry that people think they are stupid or might do something others will laugh at. It can show itself through a reluctance to speak or eat or to take part in activities when certain people are present. In children, stress is often communicated physically - psychosomatic reactions, including stomach problems, headaches, fatigue, sleep disorders, and problems with elimination, may be signals that something is wrong. “Children who come home saying ‘Nobody likes me’ really are telling you that they don’t like themselves,” says Dr Loraine Stern. The same might be true when a child suddenly starts bragging or exaggerating accomplishments. Though seemingly expressing the opposite of low self-esteem, boasting about real or imagined accomplishments may be an effort to overcome deep feelings of inadequacy. Of course, all kids get sick, occasionally misbehave and experience periodic disappointment with themselves, but when you start to notice a pattern and no immediate cause is evident, you should weigh the meaning of the signals. So what are Professor Creswell’s tips for preventing and managing problems? A lot of parents worry that by talking about a problem like anxiety they may make it worse. The important thing is to think not about ‘whether’ you talk about it but ‘how’ you talk about it? When you are talking about fears, be curious. Try to understand them. What do they think will happen and why? Some children may not be able to say exactly what they are worried about beyond that they feel scared and get upset. But that’s ok. You can work with that. Acknowledge your child’s thoughts and feelings and show you appreciate how hard it must be. To overcome their fears they will need to put them to the test. What can they/you do to find out if what they fear will really happen? For example if s/he is worried they will be taken if you are not there, could they try to be apart from you in a different part of the house for a short period of time? Enlist others around you to help. If the difficulties are at school, speak to staff to make sure there is a teaching assistant or other adult who can get your child busy and involved in an engaging and important job on arrival. Plan realistic rewards to help motivate your child. Make sure your child knows how proud and impressed you are that they have put their fears to the test. Researchers at Loyola University of Chicago, USA, studied 400 children, aged 9 to 13 years old, from wide-ranging backgrounds and looked at how they coped with stress. they sought out quiet time or recreation to relieve stress. Some temporary relief may come from helping your child to relax, going for a walk, changing routine or environment, or listening to soothing music. Make sure your child gets enough sleep. Set regular times to go to bed and to get up, at least on school days and workdays. Allow them enough time to unwind before bed. Avoid exercise (so no late night trips to the park) within three hours before going to bed, and avoid heavy snacks and caffeine close to bedtime. When it’s time to go to bed, try to make the bedroom dark, quiet, and comfortable. Let your child know that the feelings they have can be reduced; anxiety is treatable. Let them know that speaking about how they feel reduce feelings of anxiety and stress. It may also help them to realise that they are not alone in how they are feeling. If they find it hard to talk, could they write a letter about their feelings instead? Or if they’re still young, draw pictures to illustrate how they feel? What example do you as parent set when it comes to stress and anxiety? Do you try to reduce stress by resorting to violence? Punching the wall? Grabbing a glass (or 3) of wine? Then do not be surprised when your child acts out his anxiety in a similar way. Do you suffer in silence when deeply disturbed? If so, how can you demand that your child be open and trusting? Are stressful feelings so hidden in your household that they are denied rather than acknowledged and worked out? 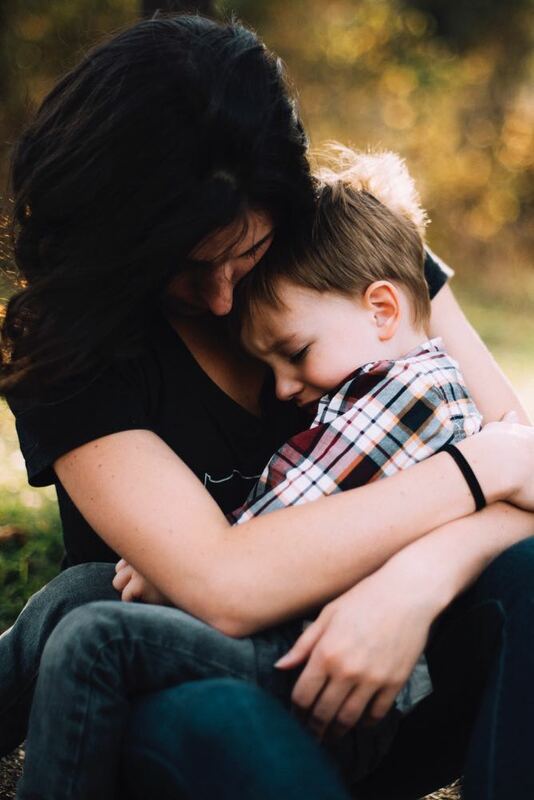 Then do not be startled by the physical and emotional toll it may take on your child, for any attempt to bury anxiety will normally only increase the severity of its expression. It may be that trying to reduce their anxiety by undertaking certain activities on your own initiative may not be enough to help your child with their anxiety and you may need to access professional help. Speak to your child’s school or Dr to discuss having access to local Counselling services. For further information visit anxietyuk.org.uk or call the helpline on 08444 775774. WHY IS A LITTLE ‘ME TIME’ IMPORTANT WHEN YOU’RE A PARENT? WHEN AND HOW CAN YOU TALK TO KIDS ABOUT SEXUAL ABUSE? ARE YOU GIVING UP ALCOHOL FOR DRY JANUARY?